What Does The Inauguration In Havana Of Miguel Diaz-Canel Mean For U.S. Companies? — U.S. - Cuba Trade and Economic Council, Inc.
What Does The Inauguration In Havana Of Miguel Diaz-Canel Mean For U.S. Companies? April 17, 2018 / U.S.-Cuba Trade and Economic Council, Inc. In the short-term to medium-term, there will be no new meaningful and sustainable commercial (export, import, provision of services, vertical direct foreign investment, horizontal direct foreign investment) opportunities for United States companies. The transition and succession from the two Castro Administrations to the Diaz-Canel Administration absent of a robust presence by United States companies throughout the Republic of Cuba is a wretched reality. United States statutes (Trading with the Enemy Act, Cuban Democracy Act, Libertad Act, and Trade Sanctions Reform and Export Enhancement Act) and regulations (primarily those through the Office of Foreign Assets Control (OFAC) of the United States Department of the Treasury and Bureau of Industry and Security (BIS) of the United States Department of Commerce) prohibit and impede most practical overtures by United States companies towards the Republic of Cuba. In addition to the impediments by the United States government, United States companies remain demonstrably hampered by constraints embraced by the government of the Republic of Cuba which constrict foreign exchange earnings, public sector development, and private sector development. There is no near-term or mid-term expectation that the thirty-plus (30+) non-travel-related companies, partnerships, and sole proprietorships who have expressed an interest in establishing a presence (office(s)/location(s)) in the Republic of Cuba will be authorized by the government of the Republic of Cuba. These entities include law firms, accounting firms, consultancies, wholesale operations, retail establishments, hospitality operations, assembly facilities, manufacturing facilities, and restaurants. The inauguration of the Trump Administration in January 2017 was not the singular impediment to the continued engagement by United States companies with the Republic of Cuba. The inauguration of the Diaz-Canel Administration in April 2018 will not be the singular stimulant to the continued engagement by United States companies with the Republic of Cuba. Important to note that President Canel is a civilian who wears a guayabera and, when required, a suit and tie. His two predecessors never relinquished their military uniforms except in limited circumstances where protocol made epaulets unappealing. While the “struggle” which his predecessors reminded the population with a uniform, President Canel’s choice of clothing emphasizes civilian leadership of the government. That’s an important optic for management of United States companies. While the optics of the inauguration of a new president of the Republic of Cuba will visually reinforce a lack of a presence by United States companies, management of those companies who have or seek to introduce or re-introduce their products and services throughout the Republic of Cuba lament the willingness of the Obama Administration to resist implementing expansive regulations (direct correspondent banking, expanded list of imports, among others) and second Castro Administration to resist authorizing Republic of Cuba government-operated companies and Republic of Cuba nationals to make use of Obama Administration regulations. Since 2015, the government of the Republic of Cuba has focused upon embracing a presence by United States-based companies whose mission is travel-related; where the transactions are primarily a provision of funds to the Republic of Cuba. There have been limited opportunities granted for exports from the Republic of Cuba, coffee (indirect) and charcoal. There is a power generation project with a non-public source of funding. There are two equipment distributorships. A healthcare product is in a clinical trial. 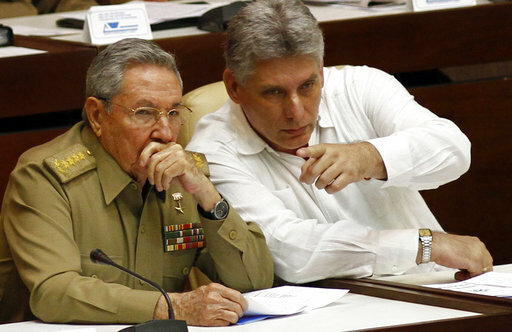 The increased commercial presence in the Republic of Cuba by the government of the Russian Federation, government of the Russian Federation-controlled entities and companies, government of the People’s Republic of China, and government of the People’s Republic of China-controlled entities and companies has primarily been diffused through debt rescheduling, debt forgiveness, long-term government guaranteed payment terms, and donations. Commercial logic has not been immune from a political calculus. The government of the Republic of Cuba prefers to accept donations rather than accept invoices; not uncommon for governments of emerging economies and re-emerging economies. For private-sector companies located throughout the seven (7) continents who may engage in commercial transactions with Republic of Cuba government-operated entities and companies, there is a marketplace in selling accounts receivables at a discount to third parties. The current (and soon-to-be) government of the Republic of Cuba prefers to engage in commercial transactions on a government-to-government basis, which tend to be less transparent and more available for restructuring. Given the commercial, economic and political models of the Russian Federation, People’s Republic of China, and Republic of Cuba, both the government of the United States and United States-based companies will remain at a disadvantage until the 11.3 million citizens of the Republic of Cuba determine a commercial, economic and political transformation process within which has been defined the word “success” and to what level “success” may be achieved by an individual or owners of a commercial enterprise before conflicting with societal norms.